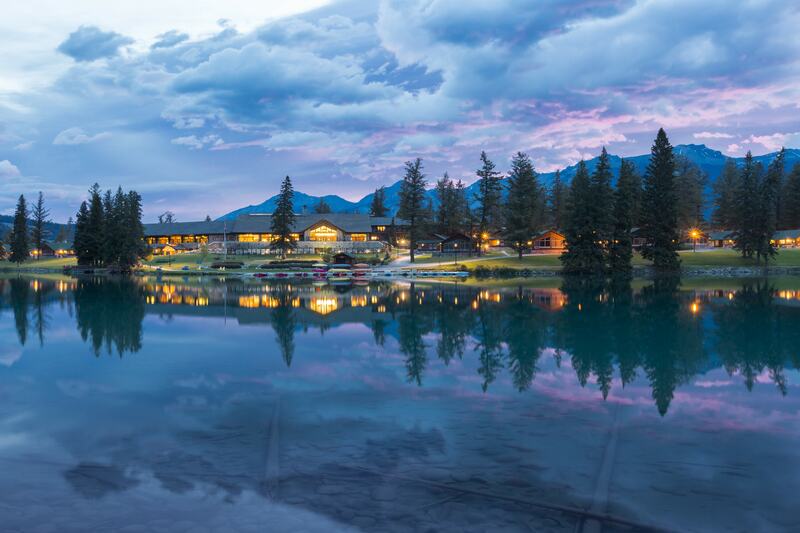 Situated in Alberta’s magnificent Jasper National Park, a UNESCO World Heritage Site, the iconic Fairmont Jasper Park Lodge resort invites you to experience our Great Canadian Lodge, surrounded by nature and abundant wildlife. The Lodge is a 900 acre year-round luxury mountain resort which wraps around the emerald shores of Lac Beauvert and Canada’s #1 Golf Resort Course. A collection of heritage log cabins surrounded by unparalleled mountain views, Fairmont Jasper Park Lodge’s 440 superbly-appointed guest rooms and 10 luxurious Signature Cabins are perfect to come together as a family, celebrate your special occasions or host an executive retreat. Enjoy a wide variety of outdoor recreational activities including golf, hiking, canoeing, kayaking, horseback riding and mountain biking in the summer and ice skating on Mildred Lake on property, snowshoeing and skiing at Marmot Basin in the winter. After an active day outdoors, rejuvenate with a signature treatment at the luxurious Spa at Fairmont or unwind in our outdoor heated swimming pool and hot tub, sauna and eucalyptus steam rooms after a beverage fire-side in The Emerald Lounge.